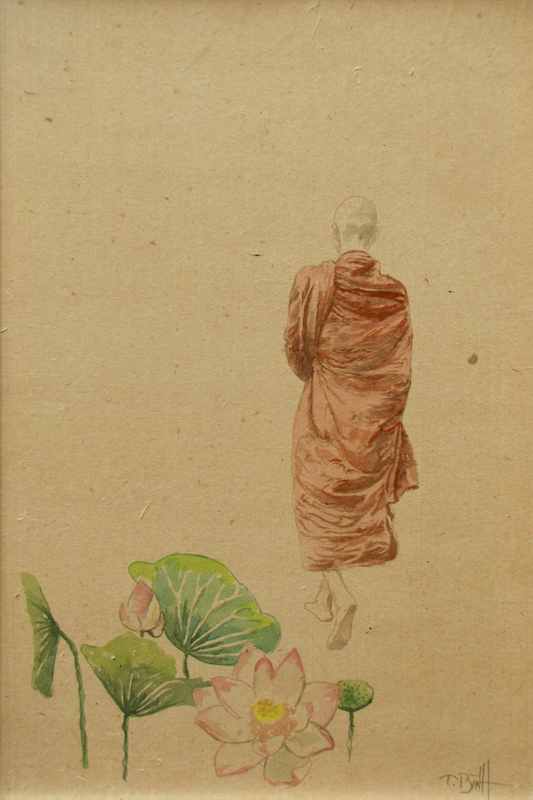 The blooming lotus symbolizes self-realization and true knowledge. 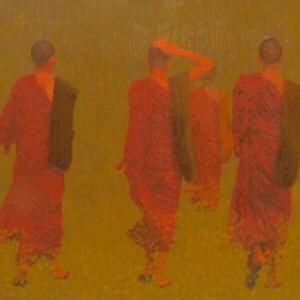 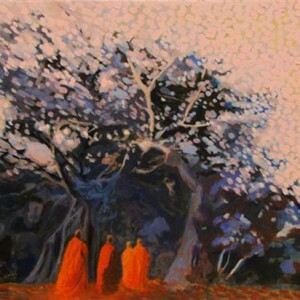 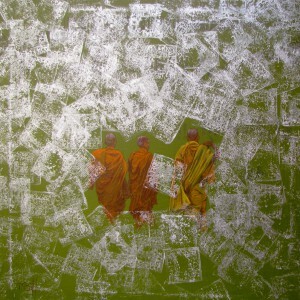 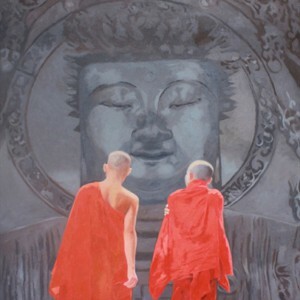 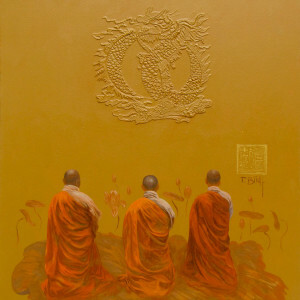 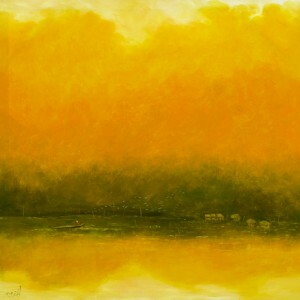 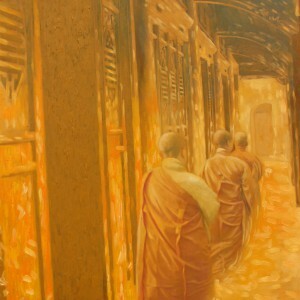 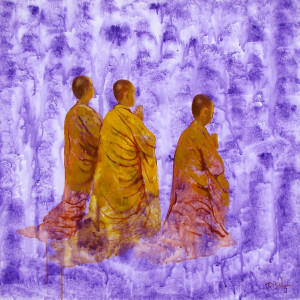 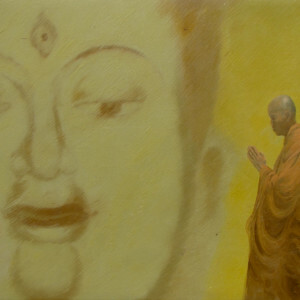 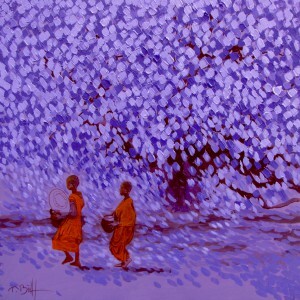 It is a recurring symbol in Buddhist art which often stands for the Buddha, or the truly Enlightened One. 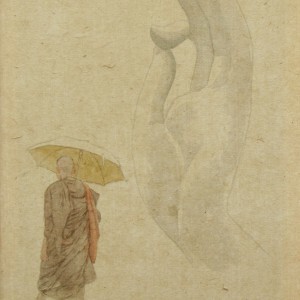 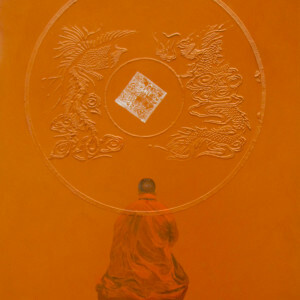 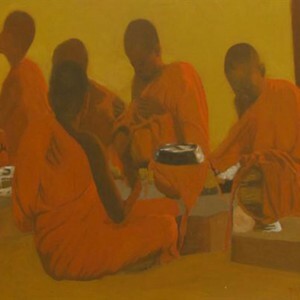 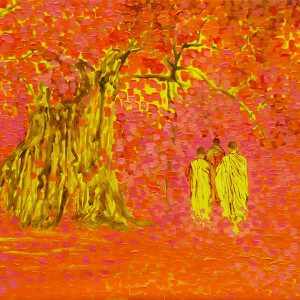 This piece of contemporary Asian art is a highly stylized and symbolic composition that shows a lone monk in saffron robes (saffron stands for renunciation of material life) on his path towards self-realization.